Your liver may be starving for cannabinoid therapy. Could cannabis help liver disease? If you needed another reason to switch booze for buds, research shows cannabis could have a profound impact in the treatment of liver disease. At least 30 million Americans have some form of liver disease. In fact, liver disease was ranked at the twelfth most common cause of death in the United States. And the U.S. is far from alone. Liver disease impacts millions of lives around the globe. Meanwhile, research shows cannabis not only alleviates pain and inflammation but also restores liver functioning. This is huge! When the liver becomes severely damaged, it loses the ability to heal itself. Here’s what you need to know about cannabis and liver disease. 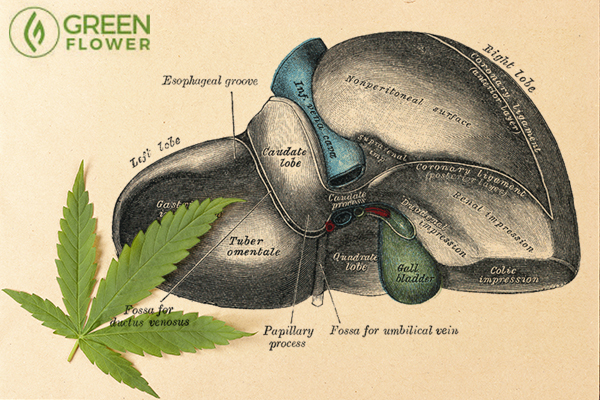 In order to better understand how cannabis treats liver disease, it's helpful to know how the liver functions. A healthy liver is vital to human life. One of the amazing abilities of the liver is to heal itself. A healthy liver can regenerate cells even if it's been damaged. However, when an injury to the liver is too severe or if it takes place over a long period of time, the liver loses this capability. Instead, the liver creates scar tissue. The first stage of this scarring is fibrosis. The last stage is cirrhosis. 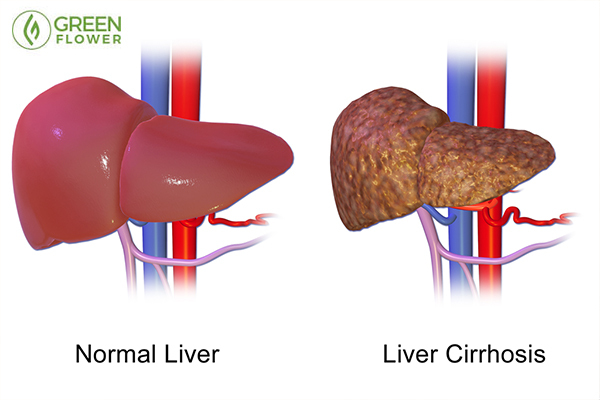 Cirrhosis occurs when the liver produces too much scar tissue from long-term damage. A healthy liver will regenerate healthy cells. An unhealthy liver that has developed into cirrhosis will regenerate scar tissue. This scar tissue replaces the healthy cells. As a result, the liver isn’t able to function properly. The longer this cycle continues, the more vicious it becomes. When cirrhosis progresses, the scar tissue begins to outnumber the healthy tissue. This makes it increasingly harder for the liver to perform even basic functions. Cirrhosis can lead to a number of debilitating side effects including fatigue, weakness, loss of appetite, itching, and even yellowing of the skin. However, research indicates cannabis could help. In fact, it may even treat the root cause of the condition. 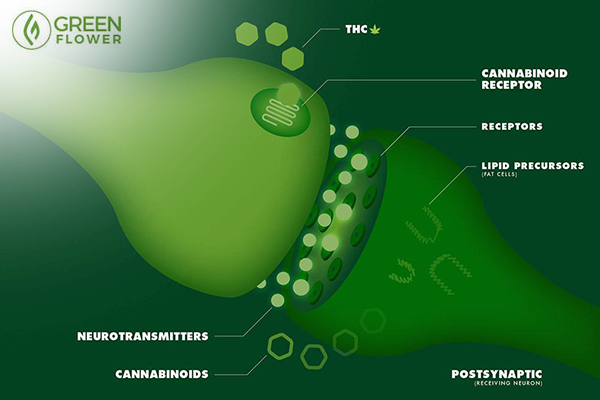 Your cannabinoid receptors are embedded on the surface of your cells. Why is cannabis effective for treating liver disease? This is due to the endocannabinoid system, or ECS. The ECS, present in both humans and animals, is one of the most important systems in the body. First discovered in the late 1980s and early 90s, researchers found that the ECS is an expansive network of chemical compounds and receptors. These receptors, CB1 and CB2, are located throughout the brain, body, organs, and central nervous system. Together the receptors form a signaling system that works to maintain health and balance among nearly all metabolic processes. Part of this signaling involves the CB receptors combining with chemicals produced by the body called endocannabinoids. When there is a dysfunction in this system, the cannabinoids in cannabis (like THC and CBD) happen to be nature's perfect supplement for the ECS. The medicinal properties of cannabis continue to amaze. In 2005, researchers from Hebrew University Medical School found that endocannabinoids help modulate inflammatory responses along with vascular changes. The study revealed endocannabinoids are crucial to neurological functioning and beneficial for people suffering from liver diseases such as cirrhosis and fibrosis. A 2011 study published in Cell Death and Disease revealed CBD (one of many cannabinoids found in cannabis) plays a crucial role in the treatment of liver disease. Over the course of an 8-month period, mice were fed increasing concentrations of different cannabinoids. Astonishingly, the researchers found that CBD induced apoptosis in HSCs, or hepatic stellate cells. HCSs are responsible for the development of scar tissue in the liver. In other words, CBD killed harmful cells that lead to the progression of liver disease. Granted, this study did not involve human subjects. Nevertheless, the results are telling, especially when we look at the research as a whole. Just take the study published in the British Journal of Pharmacology, for example. In the study, researchers examined the effects of CBD on hepatic encephalopathy, a neuropsychiatric disorder caused by acute or chronic liver failure. The researchers found that only CBD restored neurological and cognitive functioning impaired in thioacetamide-treated mice. In fact, CBD was able to restore normal liver functioning in the mice experiencing liver failure. Now, just imagine if this same study had been performed on humans. We would likely be much further along in our understanding of cannabis as a treatment for liver disease. Meanwhile, the U.S. government still classifies cannabis as a Schedule I substance with no medicinal value. Clearly, the research demonstrates otherwise. How many people are suffering from liver disease right now and could potentially find relief with cannabis? Please share this article if you believe cannabis is a valuable medicine. You could help people suffering from serious liver ailments. 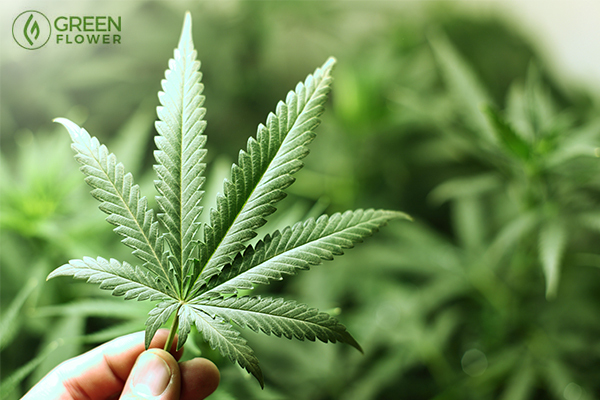 Would you like to learn more about how to use cannabis for liver disease? Does Cannabis Have Negative Interactions With Your Pharmaceuticals?